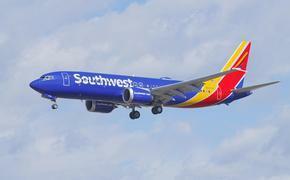 Would All-Inclusive Airline Fees Help Alleviate the State of Airline Hate? The latest round of airline hatred news came out this week, as Spirit Airlines release their "State of Hate" report. We here at TravelPulse, we like to think of ourselves as solutioneers. 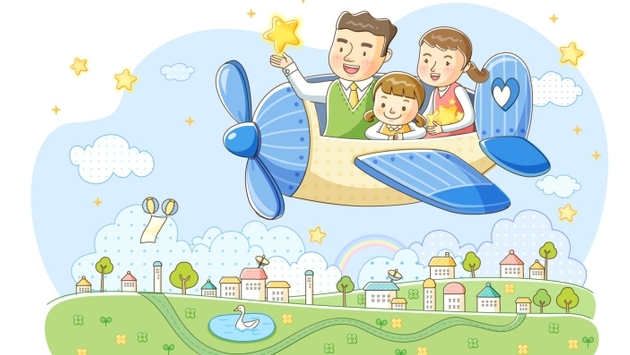 We love travel, we remember when flying was magical and fun. Simply put, unless you're flying in ultra first class, flying is far from glamorous or enjoyable anymore. So what can we do? What can we offer to make this a little better experience, to help the airline industry fight the good fight? One such idea is the concept of the all-inclusive experience on the plane. What if airlines went the Caribbean resort route and stopped with the nickel and diming? TravelPulse staff writer Tom Bastek and airlines editor Rich Thomaselli hash out the concept. All-inclusive resorts have been around since Club Med introduced the idea in the 1950’s and in certain destinations it is not only the norm, it is the only way that people will book rooms at all. Lately, we have started to see more and more cruise ships start to offer this option as well. RELATED: How Inclusive is All-Inclusive? It is time for the airline industry to wake up and smell the $5 extra charge coffee; they need to offer all inclusive packages to travelers. Here is why: If you book a flight on Air-Tran, which we will say is a more discounted airline and there is a laundry list of fees that you can pay. Reservation by phone fee: $15. Frst checked bag: $25. Second checked bag: $35. Seat Selection Fee: $10-$30. Priority Boarding Fee: $10. Wi-Fi fee: $8. Add a movie for $5, and let’s say two beers at $5 apiece. Good news, peanuts and pretzels are free! This is just Air-Tran, who doesn’t have longer flights where you might have to buy dinner or five more cocktails to handle the screaming baby in seat 9A. I am not even going to include fees for changes, more than two bags, oversized bags, pets, “customers of size” (oh, I love that one) or frequent flier fees. If we take the worst case in the example here, a traveler is looking at $138 in fees on their flight. The $199 flight doesn’t sound so good now, does it? This is not a niche market here. If it was, would Sandals have 15 resorts in the Caribbean? People will come in droves. Yes, there is going to be people that figure out the exact mark-up in comparison to the fee-driven flights and yes, they are going to take three pairs of underwear and do wash instead of taking six. They are going to squish everything into a carry-on instead of checking a bag, so they can save that $35 fee. But not us, not on Tom Bastek Airlines. We are going to pack a big suitcase, as a matter of fact we are going to take two, for free. And we are going to have a couple of free beers and we are even going to get a free ice cream for that screaming kid in Seat 9A. And we'll use our free Wi-Fi to tell everyone on social media how great it is. Public relations win for the airline. Magic made for the passenger. And with the right price set on the all-inclusive ticket, the airlines not only make the same amount of money, but they look better doing it. And we all think that we are getting the deal of the century. I recently overheard a man telling a his friend that he bought a second home with the idea of either flipping it or renting it out. After doing renovations, he tried to sell it but the market in upstate New York is still spotty, so he ended up renting it out. His total cost for the house, incuding the mortgage, school and land taxes, is $1,297 a month. He rented it out for $2,000. The point? This is also how all-inclusives operate and this is why having all-inclusive pricing for airline tickets is a bad idea. The current system of piece-meal spending for ancillary fees like baggage, seat selection and more might not be well-loved, but it serves the purpose of all fliers. You pay for what you want. You don’t overpay for what you don’t use. One of the arguments for all-inclusives, be they resorts or theme parks or whatever, is that you never have to dip into your pocket during the trip. Whoever thinks that couldn’t be more off-base. Anybody who does his or her homework knows you can find a standard vacation price that is equal to or less than an all-inclusive price. Moreover, there are ‘extras’ on top of the so-called all-inclusives. MarketWatch recently had two great examples of this. One was from Princess Cruise Lines, where the all-inclusive price did not include beverages. Unless you were content with water, iced tea, coffee, lemonade and juice, passengers had to pony up $49 per person per day for unlimited beverages of their choice. The other example was from Marriott’s CasaMagna Cancún Resort, where the all-inclusive package included three meals per day – unless you wanted a “premium” entrée like lobster or beef filet. That was $15 extra. Airline passengers are mostly dissatisfied with ancillary fees, but that’s something of a misnomer. What I believe they are truly unhappy with is how the fees are presented: hidden. There needs to be more transparency from the airlines regarding this, but that’s a whole other issue. For now, you could go to the all-inclusive system, sure. But just be prepared to be like the person who rented that man’s house. You’re paying the mortgage, school and land taxes, yes. As expected. But you’re also paying some of the landlord’s other bills as well with that $800 profit he’s making each month. Enjoy that if you like overpaying for what you don’t use. What say you? Would an all-inclusive fee make for you happier in the air? Comment below or email us Rich at editorial@travalliance.com.